With widespread internet connectivity, high receptiveness to new technologies and a trend-conscious public, South Korea is arguably the optimal market for startups to introduce and test new tech-based services. Despite these opportunities, however, Korea can also be one of the most challenging places for startups due to rigid regulations that often shut down or limit the growth of new business models, such as those in high-growth sectors like smart mobility and financial technology. This regulatory environment must change if Korea wants to have a chance of boosting its fledgling startup sector and fostering new “unicorns” -- private startups that develop a valuation of more than $1 billion -- according to the head of Korea’s chief startup support body Startup Alliance. “Korea needs to become a society that doesn’t interfere with attempts (by new players) to develop and test out solutions to problems in the market,” Lim Jung-wook, managing director of Startup Alliance, said in a recent interview with The Korea Herald. “Entrepreneurship is finding an unresolved problem in society, and introducing a service that can fill this need. However, many (startups) here are forced to give up midway due to the barrage of hurdles they face,” said Lim, a former CEO of Lycos who has been leading Startup Alliance since its formation in 2013. Despite its pledge to nurture startups, the Korean government has repeatedly viewed budding business models more as risks than as innovative solutions that can bring public benefit. 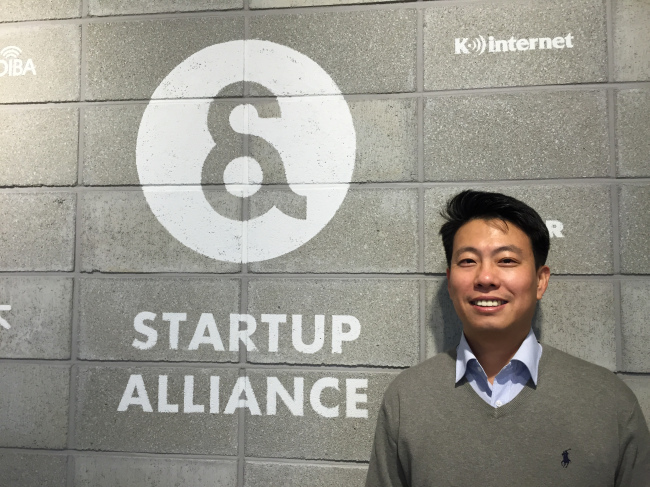 And this mindset in turn hurts the Korean startup ecosystem, said the Startup Alliance chief. For instance, personal ride-hailing services are restricted in Korea due to regulations that only permit licensed vehicles to operate paid driving services. For this reason, Korea is one of the few markets in the world where Uber’s flagship UberX ride-hailing services are unavailable, limiting rider options. Peer-to-peer car sharing -- where existing car owners make their cars available to others for a designated period of time -- is also banned in Korea. This makes car-sharing startups like Turo, a global leader in the service space, illegal, while curtailing the business scope of local players like SoCar, Lim said. The same goes for carpooling. After Uber’s failure, some startups in Korea took another go at ride-sharing, leveraging an exception to the transport law that permits the commercial operation of personal vehicles during “commute hours.” The carpool startups built a business model that allowed drivers to offer two passenger rides a day during two time frames -- 5 a.m. to 11 a.m. and 5 p.m. to 2 a.m. on weekdays. But the regulatory walls clamped down once again when Poolus, which had been a market leader in the space, tried to expand by removing this time restriction on grounds that “commute hours” can be interpreted more broadly to reflect flexible working hours and diverse lifestyle patterns. The change immediately triggered an investigation by the city of Seoul and fierce protests from the taxi union. In the process, Poolus ended up losing many of its drivers and users, straining its finances. And in June, the startup effectively crumbled, as the CEO resigned and 70 percent of its employees were laid off. According to Lim, such a hostile regulatory environment means that some of the biggest startups in the world today, like US-based Uber, Southeast Asia’s Grab and China’s Didi Chuxing cannot emerge here. In fintech, Lim adds, Korea caps the daily amount of overseas money transfers at 3 million won ($2,680), turning down startups like TransferWise that facilitate cross-country money transfers at below-bank rates. Telemedicine services have yet to take off in Korea as well, due to fierce opposition by doctors. Over-the-counter medicine still can’t be sold at convenience stores or vending machines, due to opposition by pharmacists. “It’s discouraging to see an environment where players making an attempt at a new business are reprimanded and blocked from the start,” said the Startup Alliance chief. Just last month, yet another mobility startup was faced with threats of a shutdown. Modoo Shuttle, a startup that operates commuter buses for people in areas where public transportation systems are underdeveloped, was suddenly being investigated by Seoul City. Authorities were said to be looking to ascertain whether the startup was operating its services without a rental bus operator license. But Modoo Shuttle is a digital platform that connects rental bus operators and drivers, rather than a direct service provider. The news led the Korea Startup Forum, a local startup business union, to issue a public statement calling on the government to “stop criminalizing startups” and to ease regulations that are strangling the startup ecosystem and new innovations. How should Korea change? There is no clear answer, but the goal should be to forge a regulatory framework in which new ideas can be freely tested anywhere there is a problem, regardless of the industry, Lim said. His views are echoed by a 2017 report from McKinsey & Company that concluded that Korea’s startup sector is weighed down by excessive regulations that make it difficult for new tech-driven services and products to be introduced to the market. According to the report, 70 percent of the world’s top 100 startups that raised the most investment in the past year, including Uber, Airbnb and Ant Financial, would find their businesses models illegal or noncompliant with Korean regulations. Meanwhile, a hostile regulatory environment also adds to the list of things that could make Korea a less appealing market to foreign venture capital investors, Lim said, when asked how foreign venture capitalists perceive Korean startups. “I think foreign VCs view Korea as a market that is big, yet is weighed down by tough regulatory barriers. Despite this, they do choose to invest in the No. 1 players in their respective sectors -- such as (e-commerce platform) Coupang, (food delivery platform) Baedal Minjok and (mobile money transfer platform) Toss -- given their potential. In Korea, there are currently only three unicorns -- Coupang, Yello Mobile, which owns a number of mobile and tech service startups, and L&P Cosmetic, the maker of the Mediheal fask mask brand, according to CB Insights.